Sometimes things just work in your favor...today when I logged into my Hootsuite account, I was greeted with some good news. They have a new Chrome extension called Hootlet...this enables you to click on the icon when you are on a website and a new window pops up allowing you to schedule a post without leaving the page. Brilliant. They also now have a suggested scheduler of sorts where they will schedule it at the best time for highest optimization (looks to me like you can only do that for the current day. I have been using it all day and this is going to save me a TON of time. Check out their video walkthrough. Holy Cow. So exciting. So now these pages that I am too lazy to go into and post on can be done from one click in Hootsuite. It is things like this that can really make a girls day. 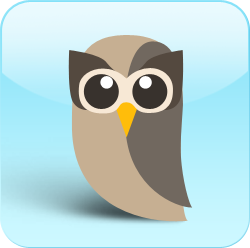 Big Score Hootsuite! You made this girl very happy!